Did you know that reading 20 minutes a day with your child is the best investment your family can make in their future? Research shows that children who read just 20 minutes per day score in the 90th percentile on standardized tests. Come to the Book Fair to stock up on the books your child will love reading and ignite your home reading habits. Please mark your calendars to visit our Book Fair and discover your child's next favorite book! Shopping Hours: 7:30 a.m. to 3:00 p.m.
Special Activities: Family Night, Tuesday, May 7 from 3:30-7:30 p.m. If you are unable to attend the Book Fair in person, we invite you to visit our Online Site. Our Online Fair is available from May 3 to May 10. Snook is also offering a new digital payment option. 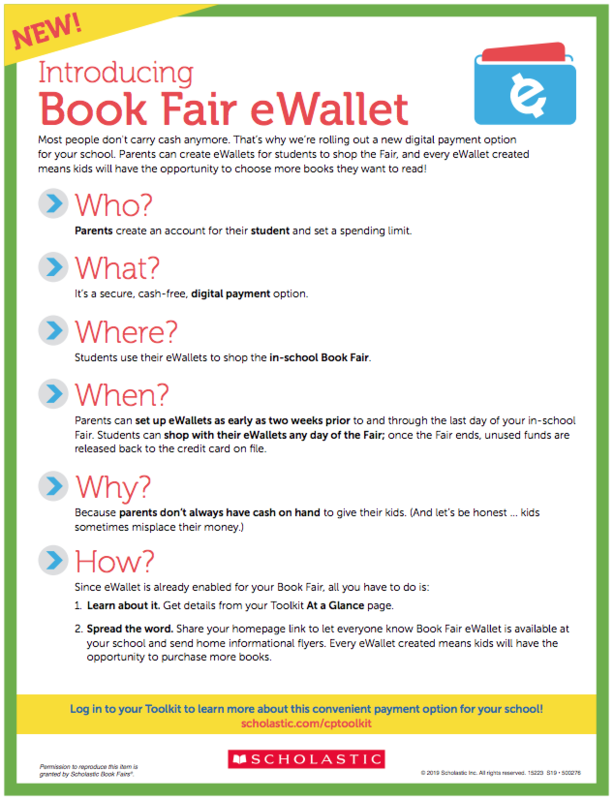 Parents can create eWallets for students to shop the Book Fair. Read the instructions provided to get set up today. Copyright © Snook ISD 2019. All rights reserved.